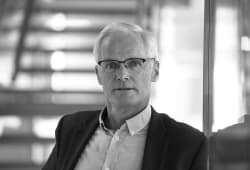 Lars Sørgard has a professional background as professor at the department of economics at the Norwegian School of Economics. He has professional expertise in competition policy, and he has been very active in both teaching and research. Main areas are industrial organisation, competitive strategy and competition policy. He has been involved as a consultant for several private and public firms, as well as public authorities. Sørgard has also participated in numerous public committees, including the committee that proposed recommendations for a revised Competition Act in 2012. He is also one of the founders of the Bergen Center for Competition Law and Economics.